Step aside Gordon Ramsey, move out of the way Guy Fieri, get out of here Paula Dean – there’s a new chef in town and he’s utterly adorable! 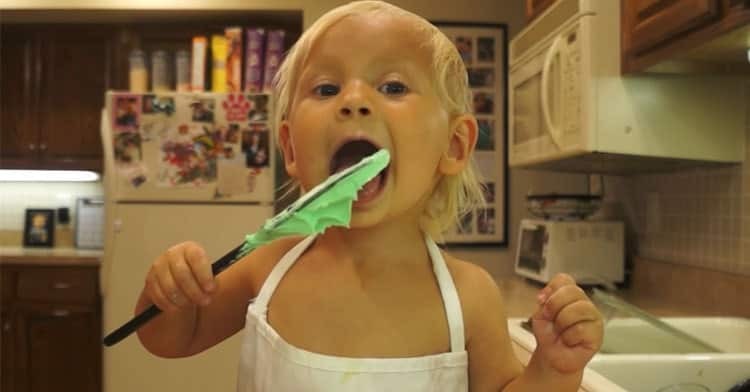 This 2-year-old baker is becoming more popular than the likes of Buddy Valastro (the ‘Cake Boss’). This precious little cake baker has stolen the hearts of the internet for his utterly adorable baking vlog video. He’s got such a sweet personality, a great presenting attitude, lovable humor and all the pureness in the world! 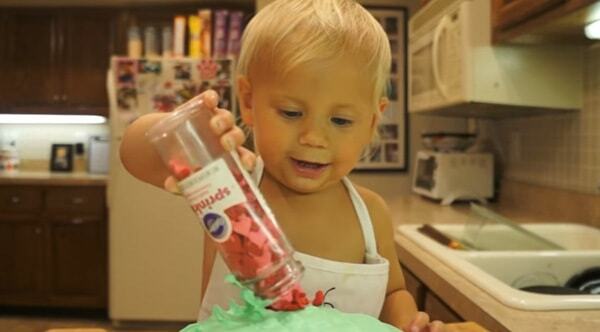 Working alongside his sidekick mother, this gorgeous little 2-year-old baker shows us all how to make a pretty cake. We have to admit, this little boy is a natural born host. 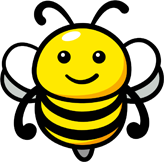 He has all the star quality and personality that makes you want to get invested in his videos. Honestly, we can see why because he’s both funny and cute. It’s the perfect combination! So far, the video has been seen over 8.6 million times on Facebook and has gained over 178,000 shares. A lot of people online have been praising this boy’s mom for encouraging her children to learn some home economic skills at such an early age. If you can learn a skill young, it becomes second nature as an adult – like riding a bike. What makes it more special is that it’s a little boy who’s enjoying baking with his mom, crushing gender stereotypes. We hope his videos become an actual cooking show! It would be a great way to encourage more parents to bake with their children.